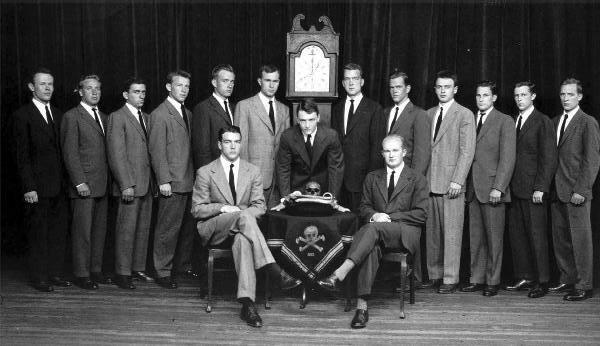 One of the most infamous secret societies in the world is known as the American order of Skull and Bones that was founded in 1832 at Yale University. The order is also known as "Bones", and members are called "Bonesmen" who are some of the world's most powerful elites such as President George HW Bush, his son George W. Bush, and current U.S. Secret of State, John Kerry to name a few. The secrecy behind the order was confirmed by George W. Bush who wrote in his autobiography, "[In my] senior year I joined Skull and Bones, a secret society; so secret, I can't say anything more." 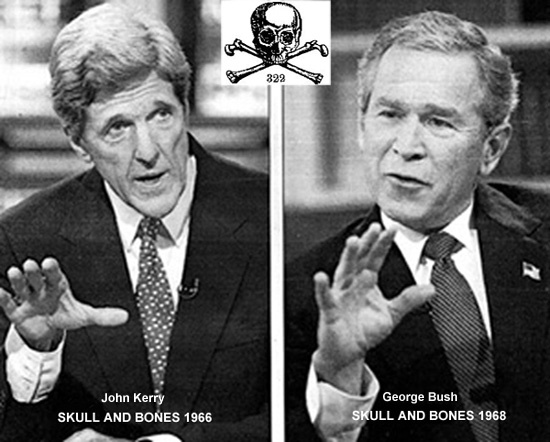 Two Bonesmen, George W. Bush and John Kerry had both been Presidential candidates in the 2004 elections, when Kerry was asked what it meant that he and Bush were both Bonesmen; former Presidential candidate John Kerry said, "Not much, because it's a secret." George Bush eventually won his second term, and continued his war campaign in Iraq. The order was incorporated in 1856 by General William Huntington Russell, and Alphonso Taft who became Secretary of War under President Grant in 1876. 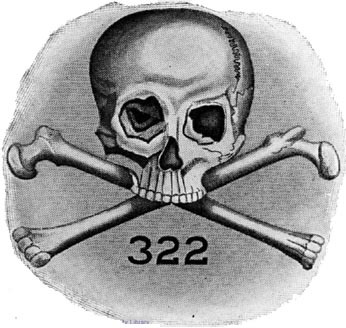 The numerical value of this year is 1+8+7+6 = 22, and the numerical motto for Skull and Bones is 322, or 3 x's 22 which you will see below is not a coincidence. In the bible, the Number 66 is the numerical value of the Wheel from the Hebrew Galgal, which is very similar to the word Google; meaning a wheel, whirl, whirlwind, or simply Chaos. The meaning of Gal, Gul or Gull, is to trick or to cheat. The word "curse" is used 66 times in the Old Testament. 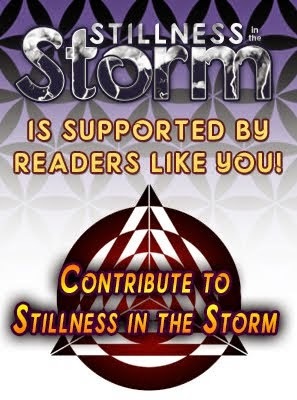 This chaos of tricks may be indicative of the CIA domestic counter terrorism plan founded under Skull and Bones member, James Jesus Angleton who was called the "Mother of the Central Intelligence Agency." 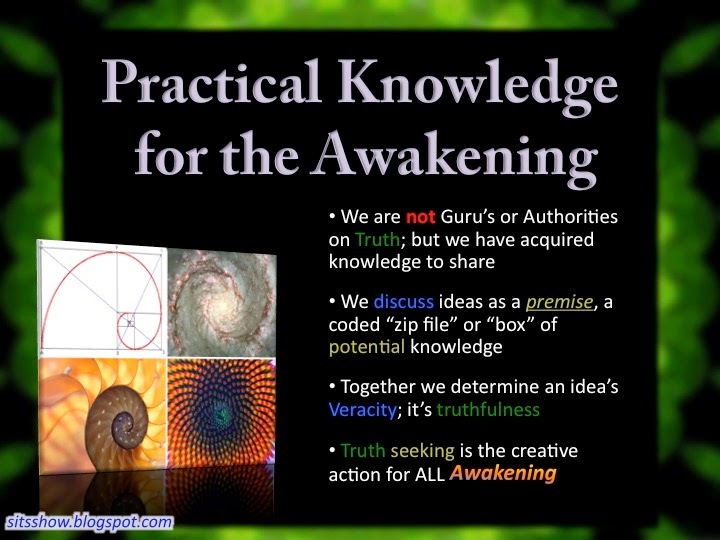 Angleton was directly responsible for a domestic espionage project called Operation CHAOS, and had coined the phrase, "Deception is a state of mind and the mind of the State.” Hence, from this point forward the CIA would play a central role in creating chaos both domestically and abroad, or ORDO AB CHAO which is the motto of the 33rd degree of Scottish Rite Freemasonry. This role of the CIA as chaos creators, and secret scroll makers may be indicative of The Skull and Bones numerical motto of 322 (or 3x22=66) that we may be able to witness in Isaiah 66:16; "For with fire and with his sword the LORD will execute judgment on all people, and many will be those slain by the LORD." This judgement is given to the Tribe of Judah who hold the Key as revealed in Isaiah 22.22: "And the key of the house of David will I lay upon his shoulder; so he shall open, and none shall shut;and he shall shut, and none shall open." If we are to look back at his writings, along with the secrets of the number 322, and with the CIA chosen as a type of agency whose task is given to create chaos, war and also biblically judge the people both domestically and abroad, we can now understand why this agency is shrouded in so much secrecy, and surrounded by con-spirit-cies. Hell, that is their job folks, and this is why we now use the term "Catch-22" to define a tricky problem or a no-win or absurd situation. We can clearly see the truth for where we are at today with spin-off agencies from the CIA such as the National Security Agency (NSA). The NSA's claim to fame came from their warrantless surveillance controversy, where it became widely known to the world that the Federal Government is spying and also collecting intelligence in super computer files on Americans and other people around the world.